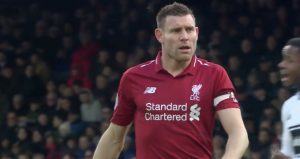 A Robbie Keane strike helped the reds to a point, although Liverpool can be very disappointed they didn’t go on to win against an Arsenal side which ended up with 10 men on the pitch. 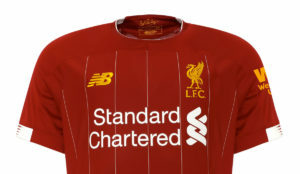 Liverpool, playing in an unusual grey shirt, red short combo, dominated the vast majority of the game but it was Robin van Persie who scored the first goal after pulling away from the reds centre back. Keane was back in the side, and Insua was restored to the team ahead of Dossena who had a nightmare last week. Rafa Benitez didn’t attend the game due to still suffering from his operation earlier this week – leaving Sammy Lee to shout the orders. 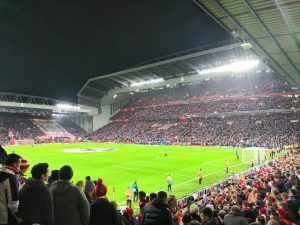 But the orders were still Rafa’s – connected by mobile phone to the Liverpool dug out throughout the game. Keane’s goal arrived as the game was heading to half time. A long ball up front and Keane smashed it first time – an unstoppable hit that rippled against the top of the net. 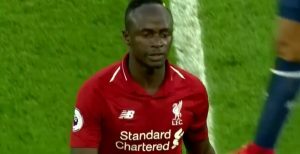 Liverpool knocked the ball around better than many occasions this season and could and should have had more in the second half. Adebayor was sent off for Arsenal after two bookable offences – the second looked a bit ropey to be fair, but far too many yellow cards were issued all around by referee Howard Webb in a game he should have expected to have had a bit of grit about it. 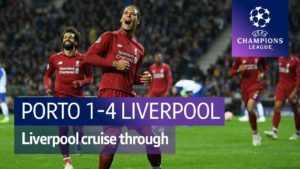 Liverpool couldn’t make the most of the numerical advantage and such has been the reds progress in recent months that a draw away at Arsenal was a disappointment. The reds are top by two points, but Chelsea play tomorrow. Arsenal: Almunia, Sagna, Djourou, Gallas, Clichy, Denilson, Fabregas (Diaby 46), Song Billong, Nasri (Eboue 90), Adebayor, Van Persie. Subs Not Used: Fabianski, Vela, Ramsey, Silvestre, Wilshere. Booked: Adebayor, Van Persie, Sagna. 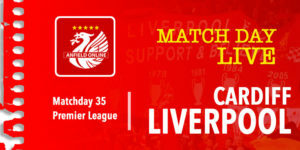 Liverpool: Reina, Arbeloa, Carragher, Agger, Insua, Kuyt, Leiva Lucas (Ngog 88), Alonso, Riera (Babel 71), Gerrard, Keane (El Zhar 81). Subs Not Used: Cavalieri, Hyypia, Benayoun, Plessis. Booked: Keane, Carragher, Leiva Lucas. Yep, Merry Christmas on top, Boxing Day is coming and we are leaders!!! Yes, we can do it!!! well i thought a draw would be a fair result before the game. we should have onmce again nailed this with the gunners with only ten men. with a question mark about torres the amount of games he will play this season. they say no one has won the premier league last seven years who have lost more than five games. but the majority of these draws were when we dominated. chelsea keep us doing us favours but for how long. we need a striker with game intelligence.look at the premier leagur scorers a lot of ex liverpool men there. owen,cisse,crouch,anelka. any one of them could be the missing piece to the puzzle maybe. Lads, lets not dress this one up! The performance was average and again the management got it wrong. When Arsenal went down to ten men El Zahar should have come on for Lucas (Only brazilian ever with no skill and pass of a ball). Kuyt and Keane should have then played up front. Alas we could be 10 points ahead by now except for Rafa and his stupid idea of always changing the team. One day we must take three points home to Anfield from Arsenal. The reason we drew is that when they had Adebayor sent off it was then really 10 against 10. This is bc Lucas is quite possibly the worst Brazilian U21 captain ever. Why we would take Keane off and not Lucas after Keano scores a rocket to give him the most confidence to go and get a winner?? Stevie showing that he is human too with a sub-par performance. Babels attitude stinks. So much talent that if he had half of Kuyts heart hed be a world beater. Most pleasing to see was young Insua playing another great game.On that note, where is Pacheco who looked far more lively than ElZhar and Ngog in preseason games? PS: anyone else notice we dont defend with players on the posts at corners? whats that all about? Come on you Blue Scum Toffee munchers and draw ( I cant will myself to see them win) against scolari’s scum. 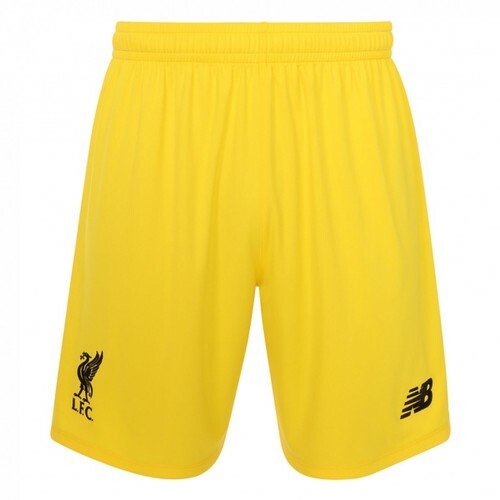 I saw it, Liverpool played very god. They were unlucky. Stevie G and Agger should have scored goals. I believe in then. YNWA Reds. This was another 2 points lost. We should be, without being ‘over the top’, 8 points clear. This was an Arsenal team for the taking..we couldn’t kill it off ! to at least draw with Chelski !! ‘ scallies’have only ONE win at home this season..therefore, it would be just like them to rise to the occasion in this game as it is the nearest to a ‘Cup Final’ their going to get to….so best of luck ‘Bart Simpson’ Moyes…do us a favour until we rip yer arse out in the Derby !!! !